With four hundred and seventy five registrations, the inaugural MD-Expo London was a success from start to finish. 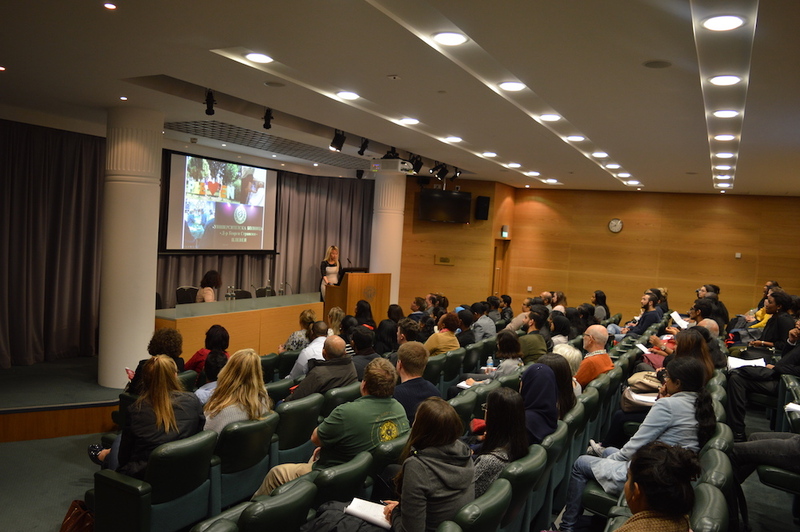 Held at the Royal Society of Medicine, aspiring medical and dental students and their parents attended in large numbers. Unlike days organised by fee charging agencies, MD-Expo brought students and parents face to face with universities themselves. They were able to ask questions to university representatives, current and past students as well as the Medical Doorway team. Ben Ambrose delivered the Study Medicine in Europe presentation. We were proud to have four of Europe’s most popular universities in attendance. Representatives from Masaryk University (Czech Republic) were inundated with enquiries. With entrance exams already scheduled for 2017 many students came to get registered. The university were also supported by Dr Natasha Mazumdea. Natasha graduated from Brno and is now training to be a paediatrician in Southampton. Debrecen University from Hungary were as popular as ever due to the first class facilities on offer across both medicine and dentistry. Situated in the second city with direct flights to the UK this is one of the most popular Hungarian universities. Renate Roga from Riga Stradins University (Latvia) was extremely busy throughout the day. Applications are still open for the January 2017 enrolment at RSU meaning some students started the application process on the day. 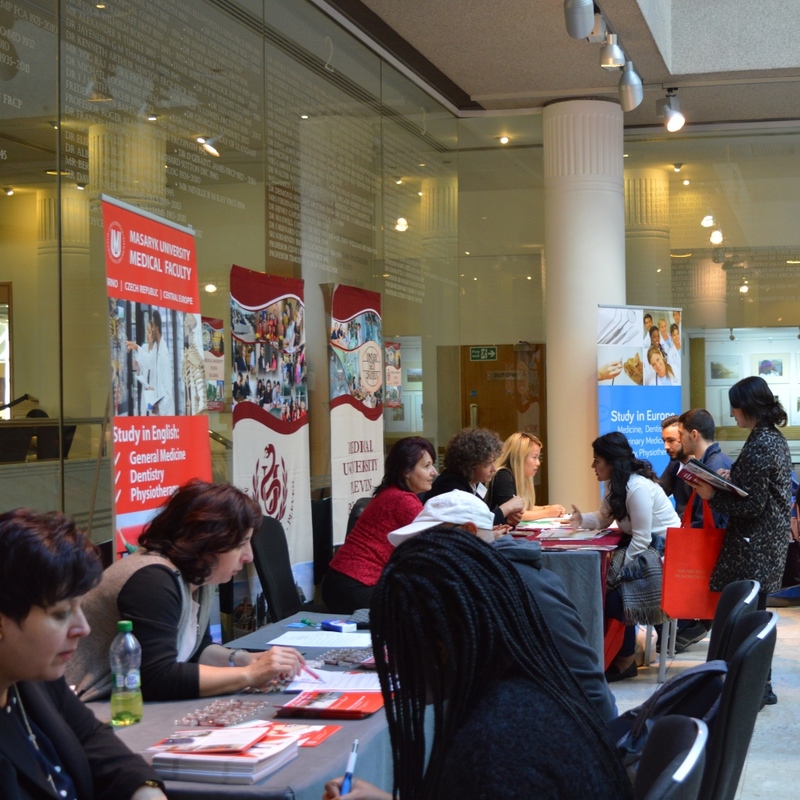 One of the busiest universities on the day was Pleven Medical University from Bulgaria. Medical Doorway and MU-Pleven have a exclusive partnership. 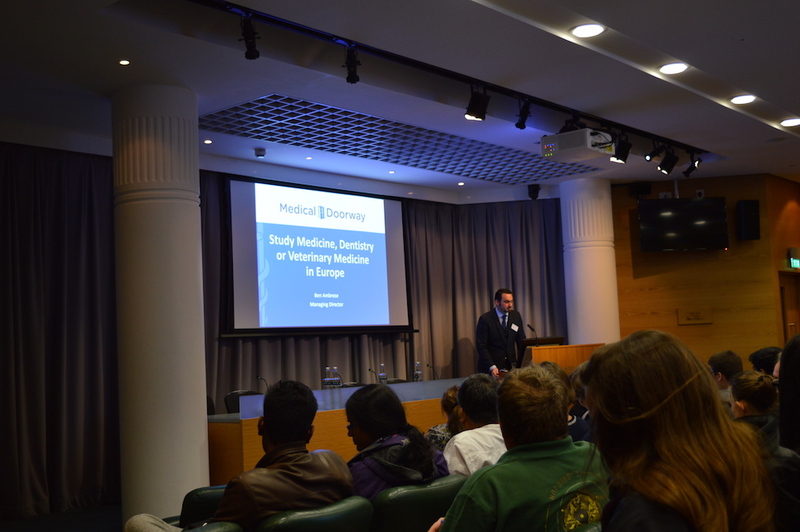 Medical Doorway are the university’s exclusive UK representative and a lot of students attended to find out more. Professor Margarita Alexandrova and Professor Milena Atanasova represented the university. Supporting them was one of Medical Doorway’s current students Shaz Rai. Shaz gave a presentation to a packed auditorium about being a student at Medical University Pleven. Her talk included information on how she was initially misled by a fee charging agency but with the FREE help of Medical Doorway enrolled at Pleven where she is succeeding in her studies. Students and parents expressed their thanks for sharing her experiences which provided a lot of insight and reassurance. As well as individual presentations by the universities our colleagues at The Medic Portal opened the day by talking about applying to UK medical programmes. Following this, Ben Ambrose (Medical Doorway) delivered the Study Medicine in Europe presentation. Ben Ambrose and Tony Hyde (Head of Student Counselling) provided on the spot guidance to all the students that visited the expo. Due to the success of MD-Expo London, Medical Doorway are going to rollout MD-Expo Open in March 2017. This will be a series of mini seminars delivered across the UK for students to get further information and guidance. More information on MD-Expo Open will follow soon.